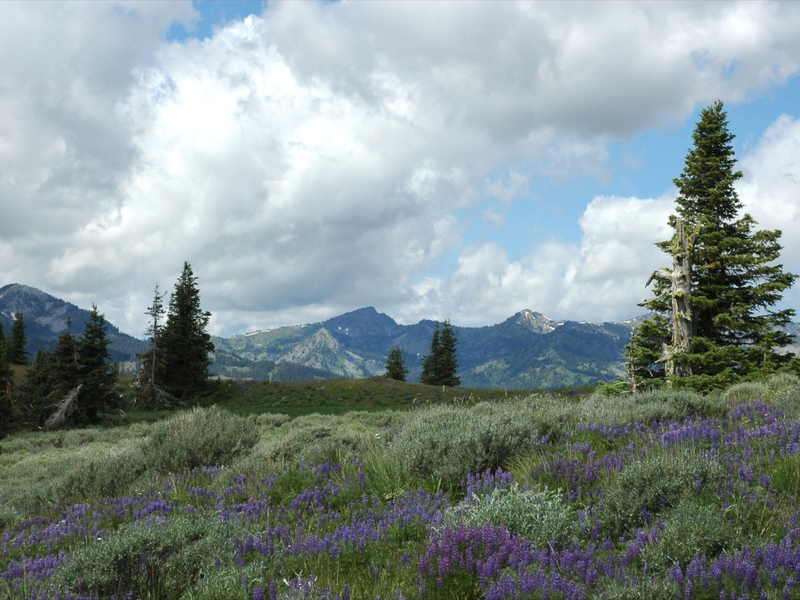 Explore the forests, ridges, lakes and lookouts in beautiful Hells Canyon Wilderness, high above the canyon with incredible views of the Seven Devils Mountains. To see the Seven Devils, you have to go into them, and far from roads. This loop in the Hells Canyon Wilderness is an uncrowded wilderness for exploration. 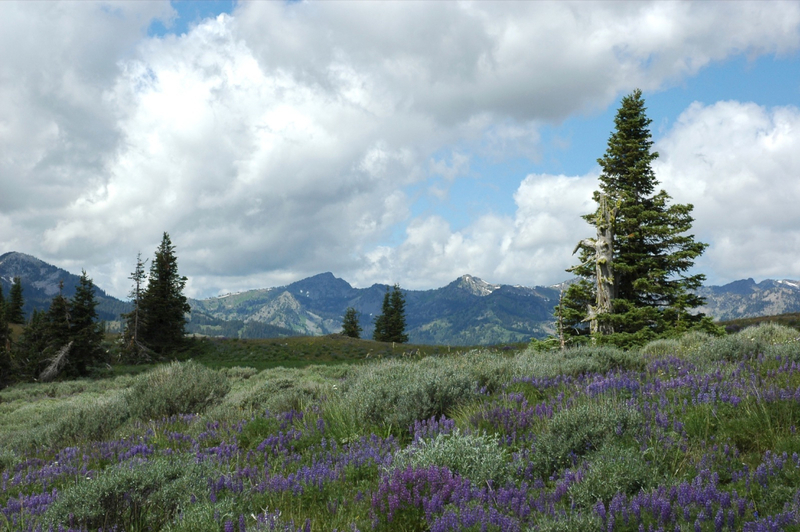 Along the loop, hikers will explore forests, ridges, lakes and lookouts high above Hells Canyon with incredible views of the Seven Devils Mountains. If you do just the loop with no side trips, round trip distance is 27 miles, which can be done in a burly 3 days. Take a little more time and explore lakes and lookouts on spur trails off of the main loop. Between the Salmon River and Hells Canyon, the rocky Seven Devils peaks have names like He Devil, She Devil, The Ogre and Goblin among other appropriately named peaks. From the top of He Devil to the floor of Hells Canyon is a drop of 8,000’, an indication of the kind of dramatic elevation you’ll see (and hike). There is water along the way at creeks like Dog Creek and Granite Creek, as well as in pristine mountain lakes, which also offer fantastic trout fishing. Keep in mind the stretches of trail between water sources – some can be quite long (9+ miles) and exposed to the hot summer sun – so plot your mileage with stops in mind http://www.ouachitamaps.com/Seven%20Devils.html . Stretches of trail wind through fir and spruce forests, through old burns well on their way to regrowth and full of wildflowers, and expansive vistas from the steep terrain. Depending on the length of time you plan to spend, try to camp at one of the any lakes up side trails for spectacular views and the fishing. Hike up to Dry Diggins Lookout for stunning views of Hell’s Canyon and the Snake River thousands of feet below, the Seven Devils Peaks, and the Wallowas in Oregon. A stout trail, save a little for the end. A final 800’ climb back to Windy Saddle Trailhead ends your loop and brings you wobbly-legged back to the car. Head into Riggins for a hearty meal at Cattleman’s or Shelly’s Back Eddy Grill, or any one of the other handful of options. With lots of gain and loss as ridges are climbed, crossed and descended, this is a hike best done after a few early season warm up hikes have legs ready to go. From ouachitamaps.com: "The Windy Saddle Trailhead sits in the saddle formed by the ridge to Heavens Gate (north) and the north side of the cirque that holds Seven Devils Lake and campground. It is accessed from Idaho Highway 95 via the Seven Devils Road (FR 517)."